Yesterday, Amazon announced a tiny black box that supposedly does everything better than all of the other tiny black boxes. Join us as we investigate the insides of this April treat to see if it's got what it takes to burn through the competition. Then tell all your friends what you found out! Follow us on Instagram, like us on Facebook, or read the results of our April Fools' joke on Twitter. Bu teardown bir tamir kılavuzu değildir. Amazon Fire TV cihazınızı onarmak için, servis kılavuzumuzu kullanın. More than just a TV box, the Fire TV has power to spare for games, and for a little extra dough you can get this snazzy gamepad controller. We've had enough of the etchings; it's time to get inside. Go, go, plastic opening tool! We dispatch the plastic clips to gain access to the Fire TV's internals. This hotshot may be tightly sealed, but it's no match for our icy blue opening tools. Precision driving is not only a skill—it's a sport. We drive through a series of screws on the motherboard with precision far surpassing that of Imperial Stormtroopers. With just a few turns, this board-in-a-box is on the loose. Hey! Who left their bubblegum in our magic TV box? Gross. This thermal pad is a bright pink hint as to the whereabouts of the main processor. Muppet news flash: Fire seems to put off a lot of heat. To keep this toasty box from catching fire, Amazon included a heatsink that fills most of the top case. In addition to aforementioned hefty thermal gum wads. Ah, the sweet taste of cooling. Keeping cool under the HDMI port, we find a little antenna, chilling all alone, not tied back into the system. With a tiny chip in the center, this looks like an RFID sticker, probably for inventory or tracking during manufacturing. Our first attempt at removing the heat sink involves an iOpener and an overwhelming lack of luck. Fortunately, we're experienced with both fire and ice as we use the old ice-cube-tray-twist to dislodge this heatsink. The judicious combination of warmth and wiggling vanquishes this mighty foe. Samsung K3PE0E00QM-CGC2 2 GB LPDDR2 RAM—the same we found in the Moto-X. The quad-core, 1.7 GHz Qualcomm Krait 300 processor is layered beneath the RAM. And on the back, a Qualcomm Atheros QCA6234XH integrated dual-band 2x2 802.11n + Bluetooth 4.0 chip, the same seen on the Kindle Fire 7" HDX. With the Fire doused, we direct our efforts towards the remote. Replaceable batteries? Check. We dread the day when even remotes no longer house removable batteries. Apparently the voice search is not as advanced as we hoped. Alas, we will resort to using a screwdriver and opening tools to pry open the remote/microphone combo. Another component, another RFID tag. Looks like Amazon is rooting for a different kind of dystopian future than we'd all imagined. We've noticed a trend of battle-tested chips at this party. 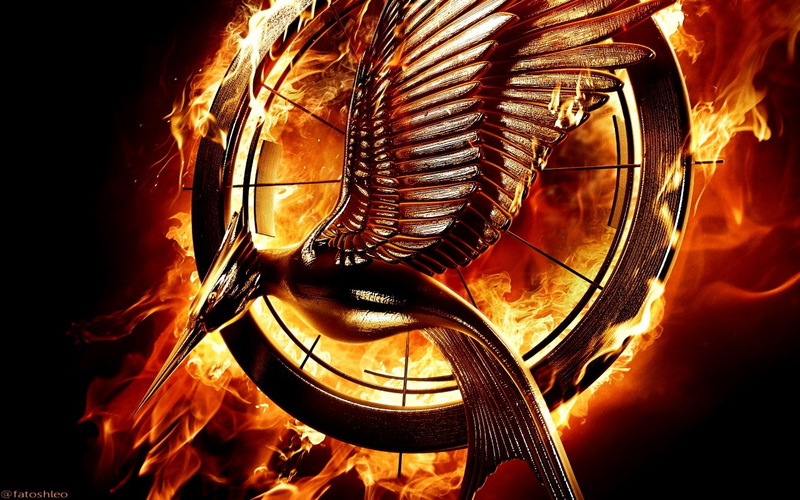 Many of the chips in the Fire have proven their mettle in other devices. That's a wrap! Well, for this act anyway. Enjoy a remote layout by way of intermission. But wait...there's more! Round three of this teardown brings us to the gaming controller. The controller is tamper-proofed with a variant of the tri-wing screw family. 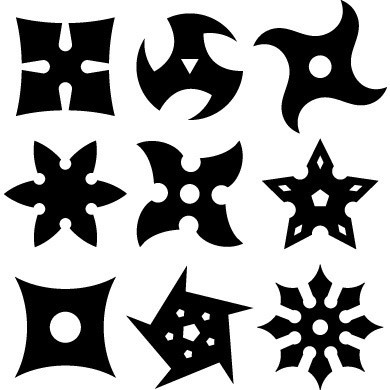 They look cool and resemble shurikens, but we don't know anybody who keeps a shuriken driver on their tool belt. We do keep a tri-wing driver on ours. It's not a perfect fit, but the Pro Tech Screwdriver Set comes through in the clutch. Outwitting the strange screws, we pop this controller open. At least there's no adhesive keeping it shut. And to complete the trifecta, there lies the controller's RFID tag. We tweeze out little trigger button boards like splinters. There's no time for a status report as we quickly free the status light and its little green friend board. The insides of this controller look pretty standard, calling into question whether Amazon is trying to storm the gaming world, or merely adding features to boost content downloads—or perhaps both. Next we pull the trigger...off the controller's motherboard. Boy howdy, it's your lucky day, reader! A second (gamier) layout, just for you. Simple construction—upper case, lower case, heat sink, motherboard. Once it's apart, there's not much to keep track of. The power supply is separate; should it ever need replacement, there'll be no disassembly required. ...provided you never need to remove the heat sink, which is secured with copious amounts of extremely sticky glue. The outer case is a very tight fit. Plastic clips are used rather than glue, but they're so stubborn you'd be forgiven for thinking otherwise. A single board hosts all the vitals—clean and simple, but when it comes to repair, it's all or nothing. What about the power Brick? It sure was a disappointment to have to have one when the Apple TV takes just a clean AC cord. Also, how much power does this draw in standby. Is this another Power vampire. As for repairable...it is only good up and to the point where it reduces reliability. Regarding RFID. I am pretty sure that this is related to the binding device to the Amazon account. When I bought fire tv stick and turned it on, it showed already my amazon account and asked me to confirm. This could be only possible, if they read device ID in warehouse during processing my order and bind it to my account. Easiest way to do this just to read RFID tag during packaging, so they do not need to scan any paper labels on box. For accessories: they could be used to bind them all together on factory with some special tool by scanning RFIDs fully automatically. Or may be available for QA if all components present in a package during packaging on factory, or even just for future use.